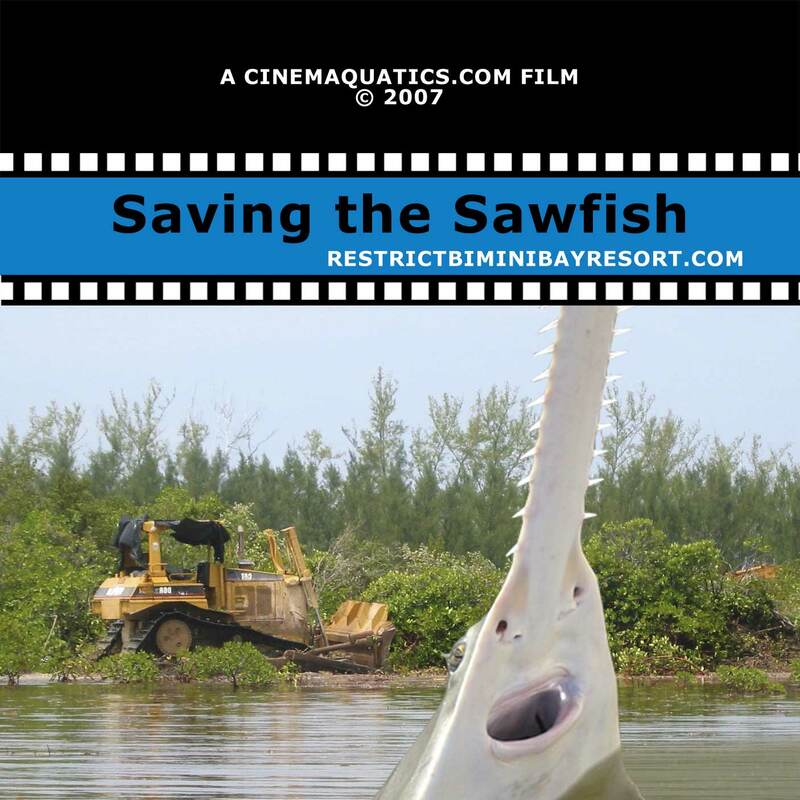 Saving the sawfish is a short film about the habitat destruction occurring on a grand scale on the North Island of Bimini in the Bahamas. A huge scale resort and golf course is being developed on this small island, the final population of which will dwarf the size of the local population. Already phase 1 of the project is massive, but if phase 2 goes ahead it could signal distaster for the creatures that live there. The island is low lying, covered in rich mangroves with a sea grass lagoon interior. A perfect nursery ground for lobster, fish, conch, sharks, as well as prime habitat for the critically endagered Smalltooth sawfish. Not only have vast tracks of mangroves been bulldozed but because the islands are low lying the developers have been dredging the lagoon areas and dumping the spoil onto acres of shallow lagoon areas in order to be able on them. This not only destroys the mangroves but also the sea grass areas - vital sawfish habitat. Ground water was turned brackish by the digging activity so Bimini Bay Resort was required to build a desalination plant to supply water to the people of Bimini. The problem is that that plant does not have the capacity to supply the locals as well as the water that the resort uses for watering plants and extensive lawns so Biminites are often left without water. Bimini relies heavily on tourism and local businesses are already being affected as customers tend to go to the newer facilities at Bimini Bay Resort - money that would otherwise have stayed within Bimini. To watch the film play the film above or you can watch it on Youtube. You can also watch the film on Google Video. To view a file simply click the relevant media icon below. To save the file right click and "Save target as". 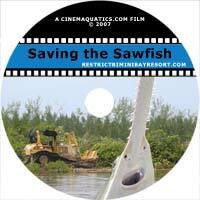 Click here for the Saving the sawfish film credits. Find out more about the resort on the Bimini bay resort page.